Illinois voters have approved a non-binding ballot question on raising the minimum wage. 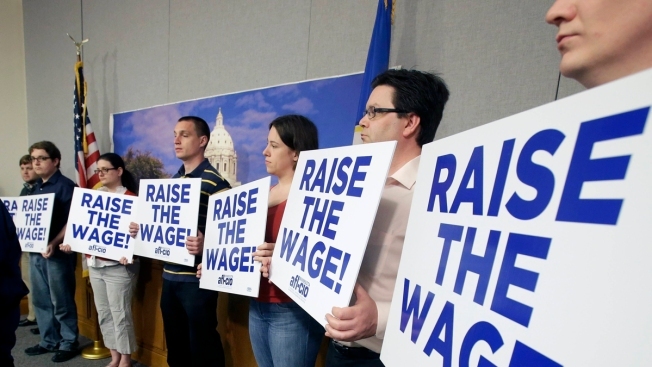 The advisory referendum asked whether the state should raise its minimum wage to $10 from $8.25 by 2015. Democratic campaigns nationwide have pushed the idea. House Speaker Michael Madigan, a Chicago Democrat, sponsored the initiative. Supporters hoped widespread support for the question would add momentum to a legislative proposal to raise the wage. Forty-four-year-old security guard Alexis Garrett of Chicago says she voted for it but feared it would just lead to more price inflation. It also became an issue in the neck-and-neck race for governor between Democratic incumbent Gov. Pat Quinn and Republican businessman Bruce Rauner. Quinn supports raising the wage, but previous legislative efforts have fallen short. Rauner initially wanted to cut the minimum wage. Now he supports raising it if other business reforms are included. Many businesses fear a hike would kill jobs.